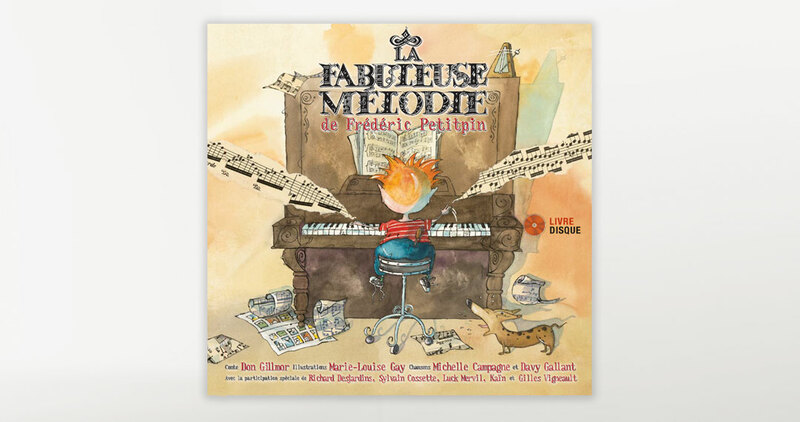 Frederic Petitpin, a lovable young lad named after the great pianist, Chopin, doesn’t appear to have any musical talent. Piano lessons with Mr. Snobinus prove to be disastrous, so he has a go at the cello, the oboe, the clarinet… but sadly nothing fits. One glorious day, serendipity takes place when he attends his sister’s youth musical recital and stumbles across the wonderful world of conducting. Who knew that this could be his newfound passion? 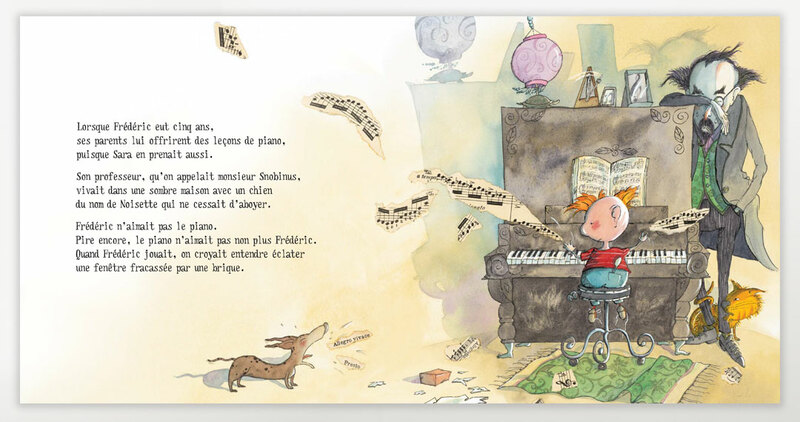 To the amazement of the Pipkin family, what follows is the discovery of Frederic’s new gift and a fabulous new song. The accompanying CD comprised of a dozen pop-rock songs picks up on different aspects of the story. Don Gillmor is the author of six popular award-winning children’s picture books, including the Governor General Award winner Yuck, a Love Story and the original version of The Fabulous Song, winner of the Mr. Christie’s Book Award. He has written for many magazines including Rolling Stone, GQ, and Premiere. His articles have earned him six National Magazine Awards. Michelle Campagne if a founding member of the folk-roots group, Hart-Rouge, which has released over ten albums. The single, “Inconditionnel,” earned them a SOCAN Award for one of the most played songs on French commercial radio in 1990. Over the last 20 years, the band has performed throughout the world including appearances at the legendary Newport Folk Festival and the Francofolies festival in Larochelle, France. Multi-instrumentalist and record producer, Davy Gallant, has worked with Roch Voisine, Garou, Connie Kaldor and Lennie Gallant, amongst others. 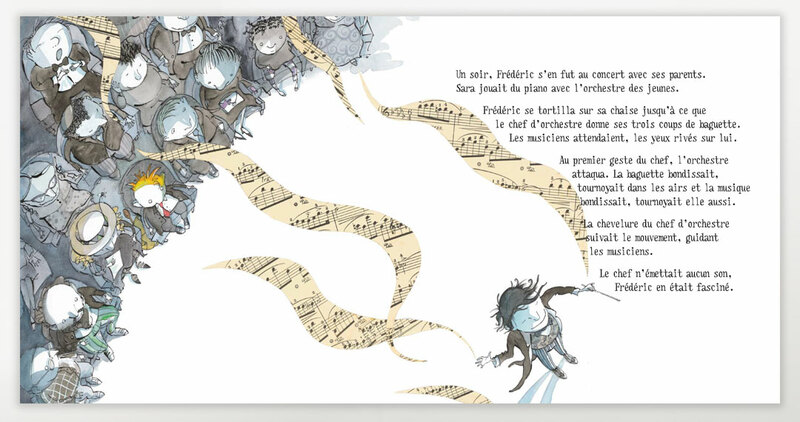 Marie-Louise Gay, author and illustrator of the popular Sam and Stella series, is a two-time winner of the Governor General’s Literary Award, has won the Ruth Schwartz Award, the Mr. Christie Book Award, the Elizabeth Mrazik-Cleaver Canadian Picture Book Award, the Amelia Frances Howard-Gibbon Illustrator’s Award and the Marilyn Baillie Picture Book Award. She has also been nominated for the Hans Christian Andersen Award as well as the Astrid Lindgren Memorial Award.